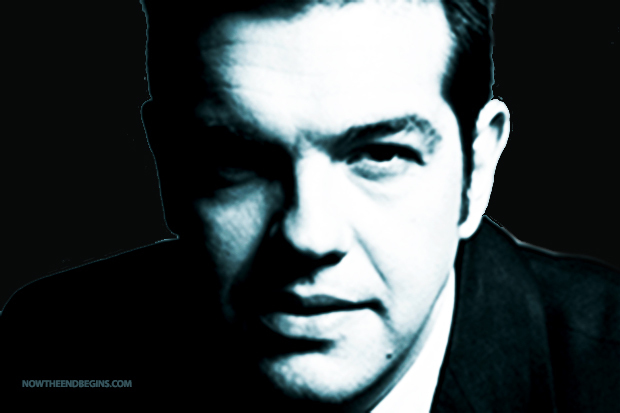 His name is Alexis Tsipras, and it seems that he meets much of the criteria of the prophesied Antichrist. He was just elected as the Prime Minister of Greece. He is an atheist and a far left winger. His party in Greece is called SYRIZA. He has appeared out of nowhere in the last couple of years, almost magically. He has landed himself in a most precarious situation. Greece is broken. Is he the one to fix it, and also the EU which is struggling and groping at almost anything to revive Europe? All eyes are on this man. On Sept 17, 2014 Mr. Tsipras met with Pope Francis at the Vatican. He was the first leader of a left-wing party that met the head of the Roman-Catholic church–ever. This is not surprising with this Pope, because he is rabidly ecumenical, and very “Green”, always talking about global warming and people harming the earth. It has been said that Tsipras and the Pope get along famously, and are in one accord. No problem that one claims to be the head of the “faithful” on this earth, and the other, a staunch atheist. Could it be that there are unseen circumstances, not being divulged to the public? I would say, assuredly so. “Now we beseech you, brethren, by the coming of our Lord Jesus Christ, and by our gathering together unto him, That ye be not soon shaken in mind, or be troubled, neither by spirit, nor by word, nor by letter as from us, as that the day of Christ is at hand. 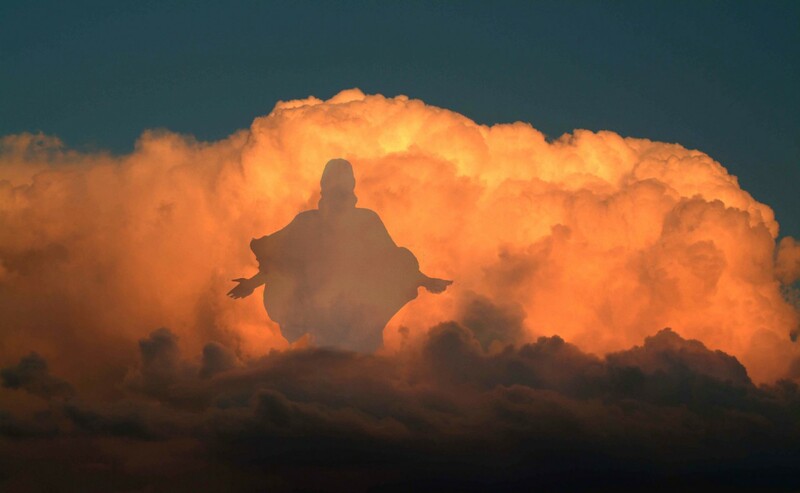 Let no man deceive you by any means: for that day shall not come, except there come a falling away first, and that man of sin be revealed, the son of perdition;Who opposeth and exalteth himself above all that is called God, or that is worshipped; so that he as God sitteth in the temple of God, shewing himself that he is God. Remember ye not, that, when I was yet with you, I told you these things?And now ye know what withholdeth that he might be revealed in his time. For the mystery of iniquity doth already work: only he who now letteth will let, until he be taken out of the way. And then shall that Wicked be revealed, whom the Lord shall consume with the spirit of his mouth, and shall destroy with the brightness of his coming: Even him, whose coming is after the working of Satan with all power and signs and lying wonders, And with all deceivableness of unrighteousness in them that perish; because they received not the love of the truth, that they might be saved. And for this cause God shall send them strong delusion, that they should believe a lie:That they all might be damned who believed not the truth, but had pleasure in unrighteousness. But we are bound to give thanks alway to God for you, brethren beloved of the Lord, because God hath from the beginning chosen you to salvation through sanctification of the Spirit and belief of the truth: Whereunto he called you by our gospel, to the obtaining of the glory of our Lord Jesus Christ. Therefore, brethren, stand fast, and hold the traditions which ye have been taught, whether by word, or our epistle. “The father of Alexis Cipra, Pavlos Cipra, died in 2012. He was a billionaire with a direct link with the Mossad, he was the father of a slave BHL entrepreneur in Africa where he was trafficking in Africans. He sent dozens of Africans in Greece in order to exploit them, giving them just enough to survive in its construction companies and public travux. We won’t be here, but this should give us pause, and make us realize that we need to share the Gospel with everyone we know!! *I wrote this article in February of this year – right after Mr. Tsipras was elected. EXTREME LEFT-WING LIBERALS do NOT know Jesus ( Yeshua ) Christ as their LORD / KING / MESSIAH / SAVIOUR!! I am reposting this piece in light of new information about Greece and Israel. It seems that PM Alexis Tsipras has approached PM Netanyahu about a proposed economic alliance between the two countries. Greece’s economy is failing. Israel has an abundance of wealth from new found oil. Seems we need to take another look at Mr. Tsipras from a Biblical perspective. Could he possibly be the man of perdition?